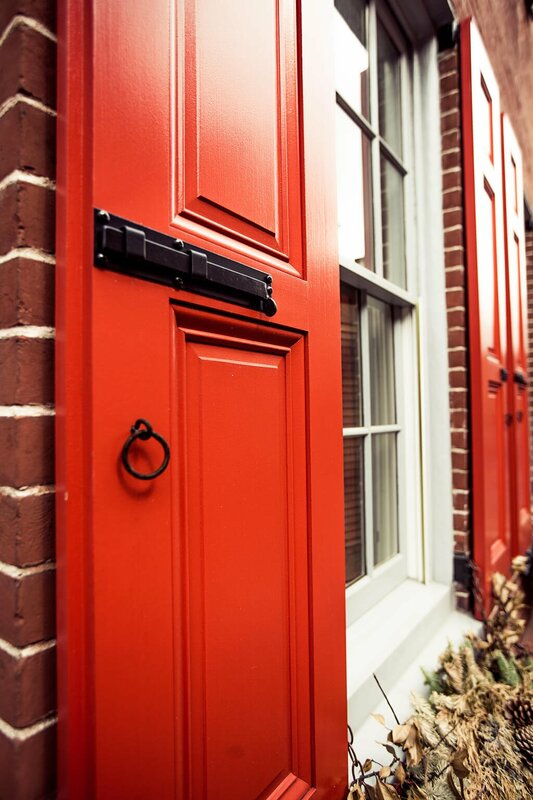 Every home tells a story, and every story needs the perfect accompanying details. 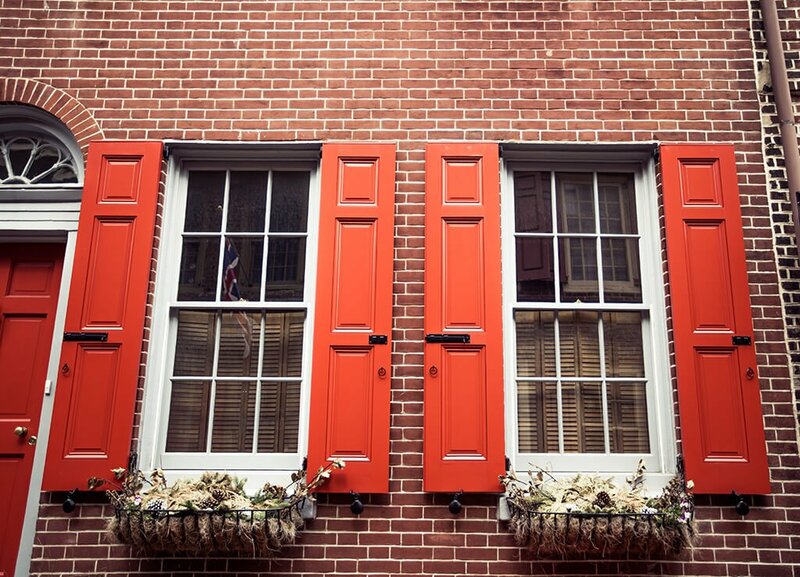 Whether stone, brick or a monochromatic exterior, the right shutters emphasize and elevate those stories. 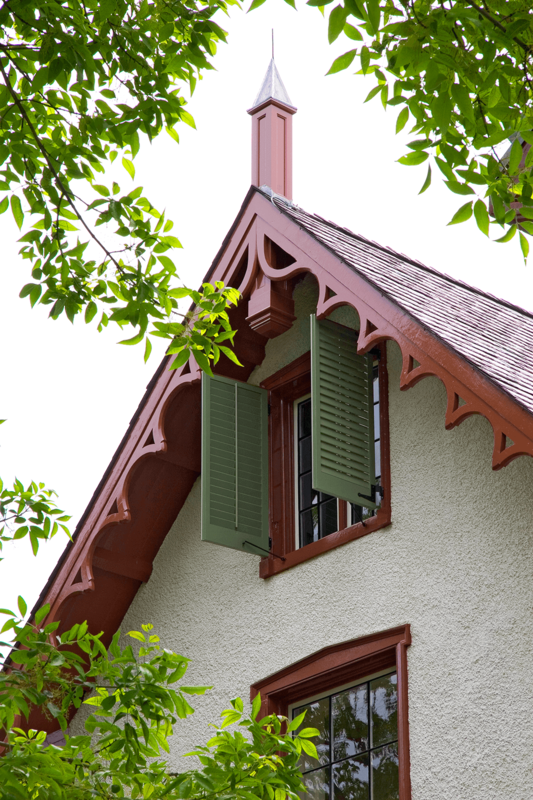 Timberlane shutters are revered for their attention to detail and natural eye for historical accuracy. 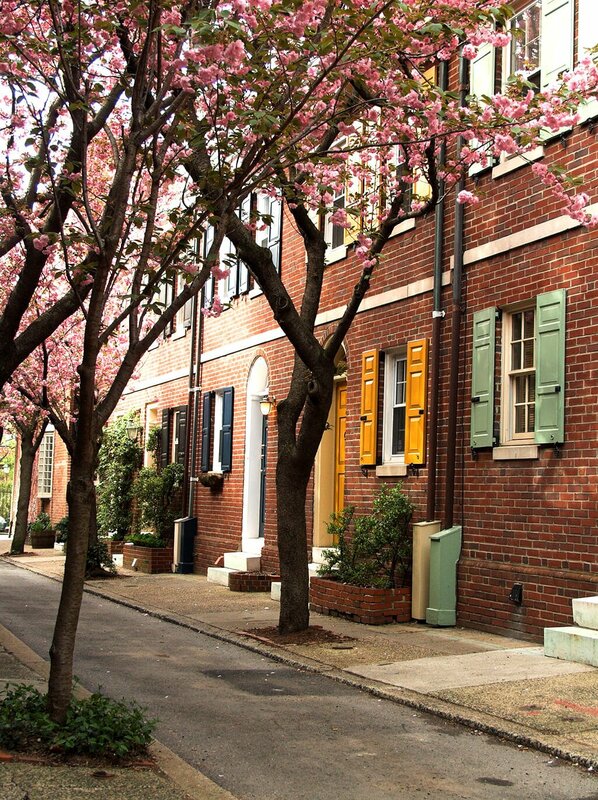 Take a stroll back in time with these shutters and homes of yesteryear. 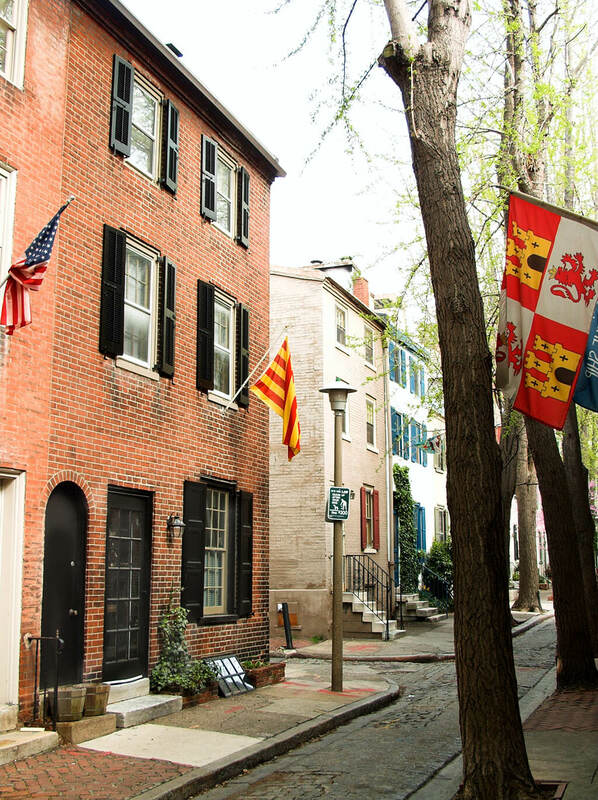 This historic brick townhouse looks amazing with Pitch Black shutters featuring 50/50 flat panels with Philadelphia Lattice. 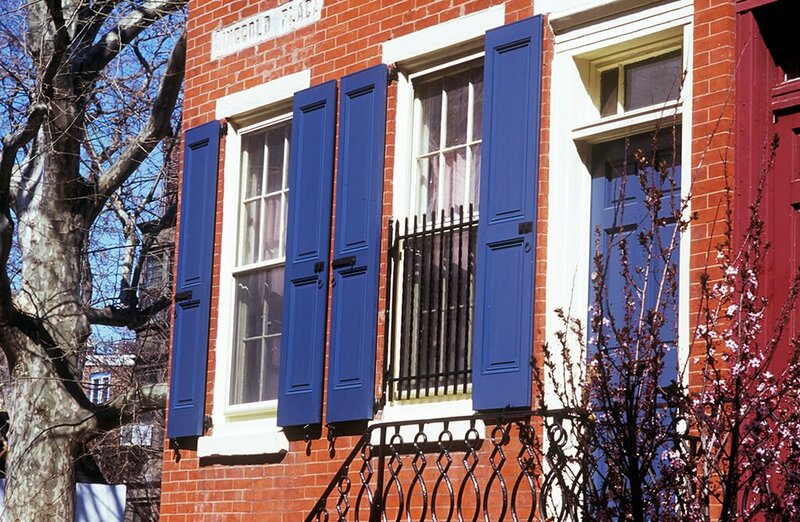 These vibrant blue recessed panel shutters brighten up the brick façade of this historic townhome. 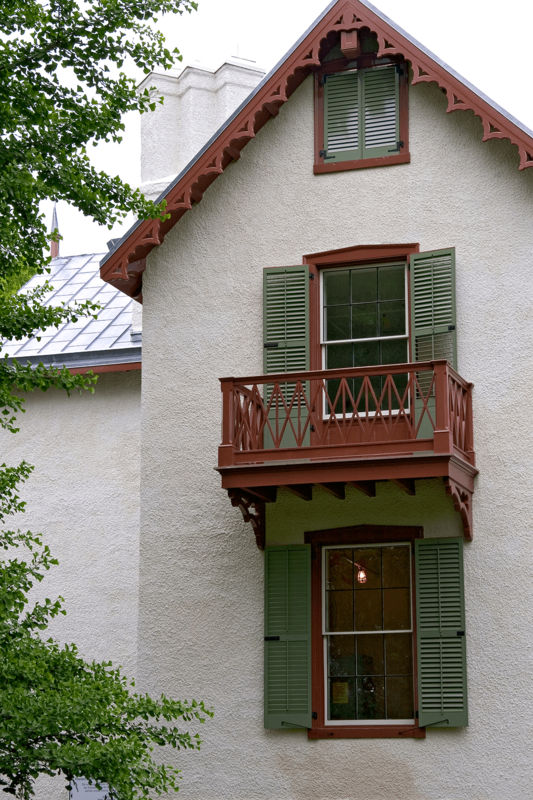 Our operable louver shutters were a perfect, tradtional match for both windows and doors on the Lincoln Cottage in Washington, DC. 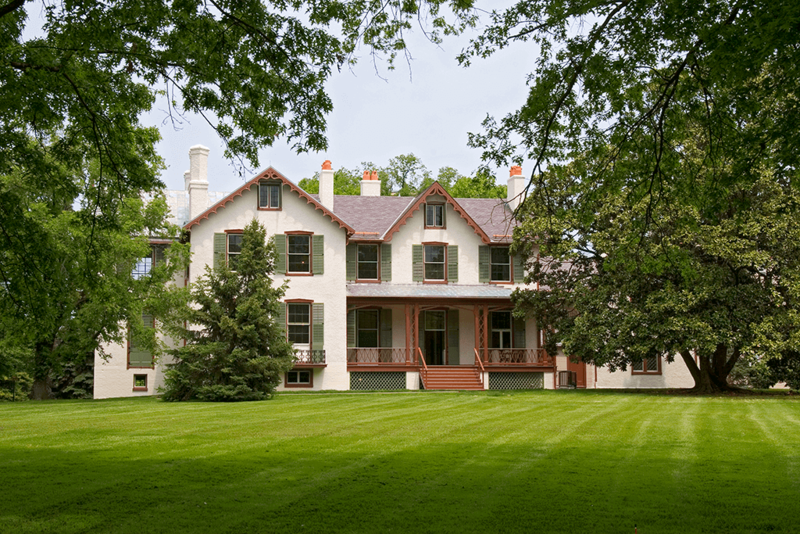 The warm orange trim and creamy off-white exterior of the Lincoln Cottage looks great with our Sage Green, operable louver shutters. 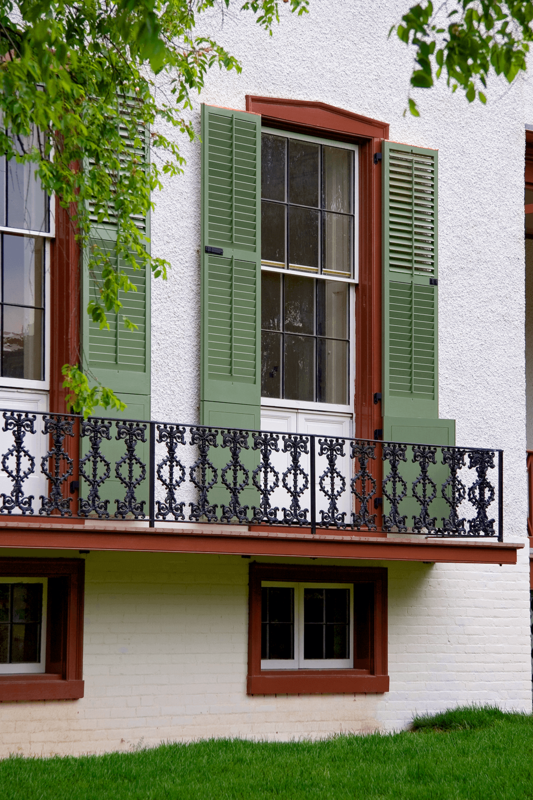 This photo of the 2nd story balcony on Lincoln Cottage showcases three manifestations of louver shutters, yet the look remains cohesive. 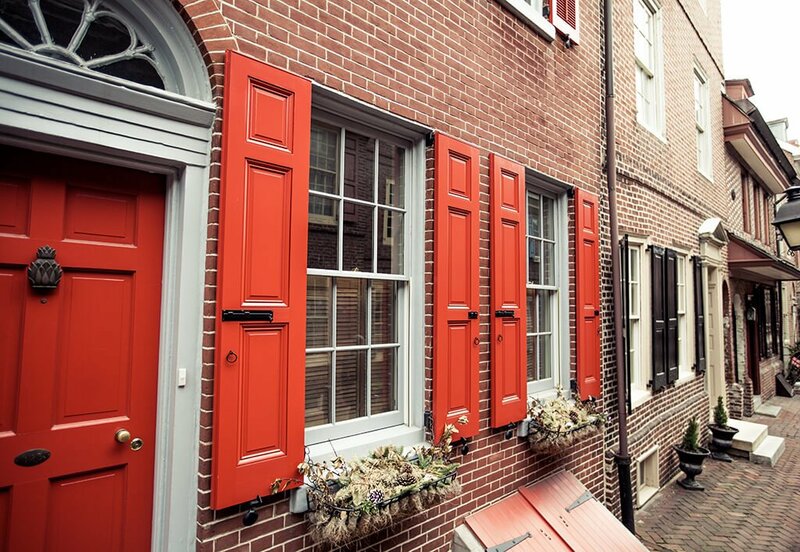 These Sage Green shutters are fully operational! 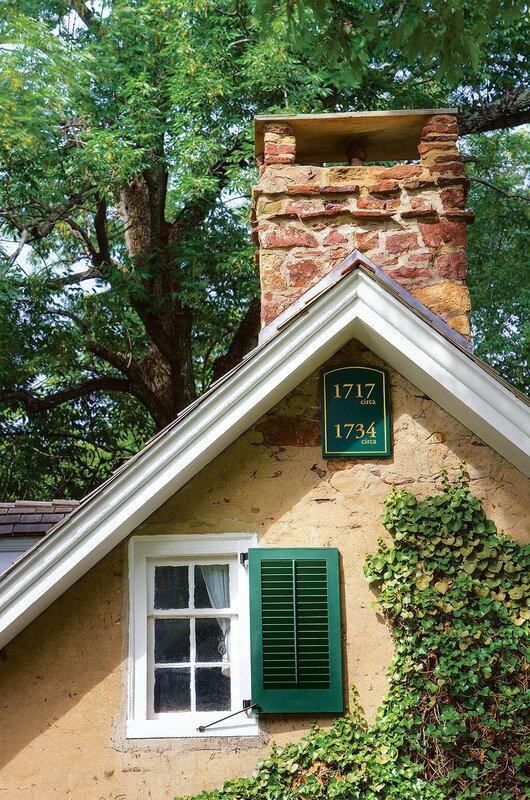 With sill mounts, heavy-duty pintels and hinges, and operable louvers, this project demanded traditional authenticity. 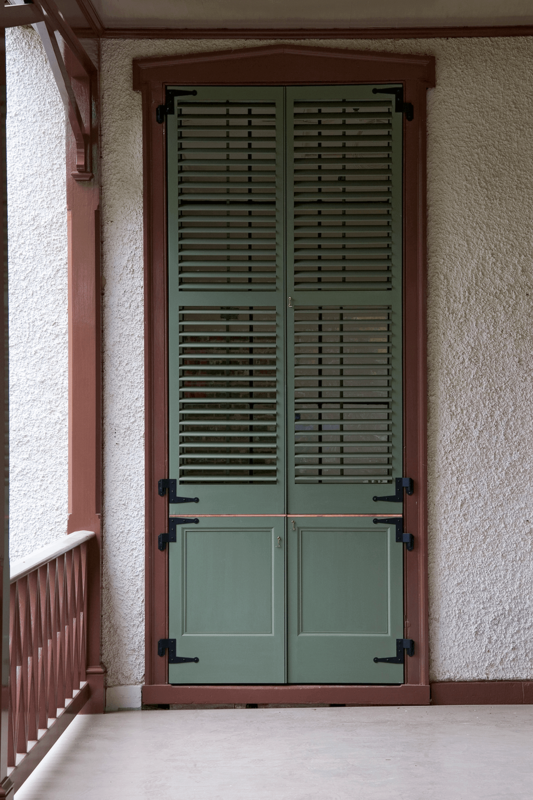 This fully customized door shutter features a bottom panel with copper capping while the top portion is made up of operable louvers. 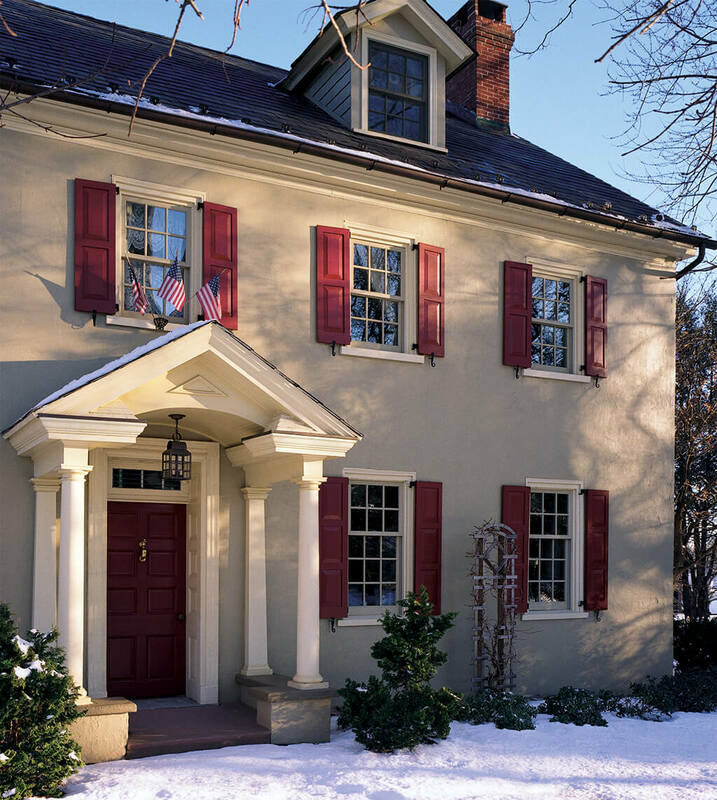 The warm orange trim of the Lincoln Cottage looks great with copper-capped Sage Green louver shutters. 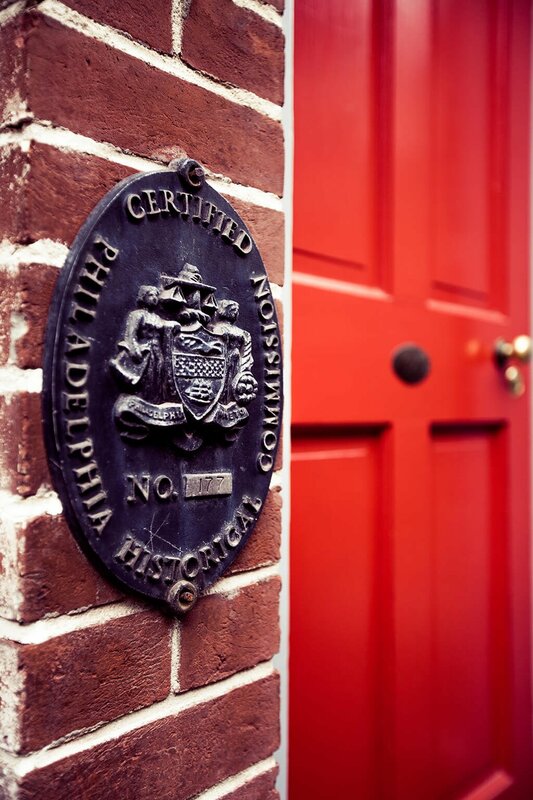 Our commitment to historical authenticity has gained our shutters a review and approval by the Historical Society of Philadelphia. 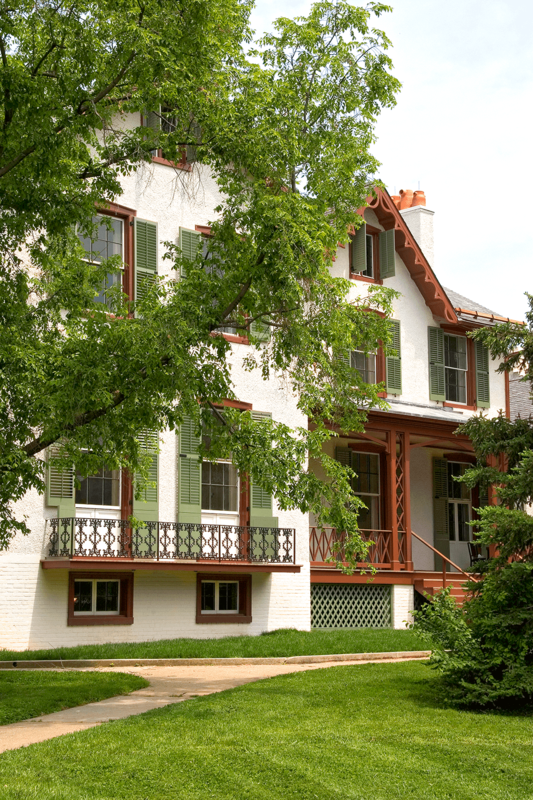 This stunning façade features 20/40/40 panels on the ground floor, 33/33/33 operable louvers on the second floor, and 60/40 operable louvers on the top floor. 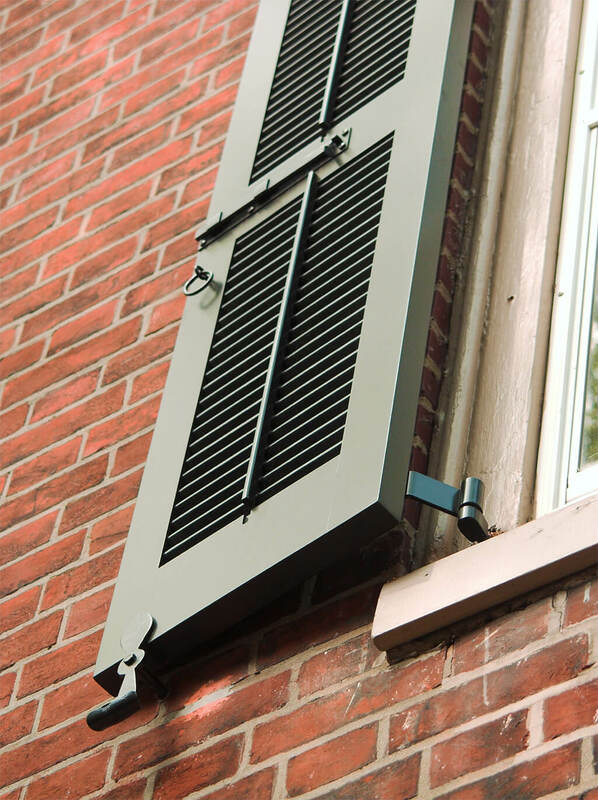 8Next These recessed panel shutters feature a 20/40/40 configuration as well as complete hardware, including pull rings, slide bolts, and scallop tiebacks. 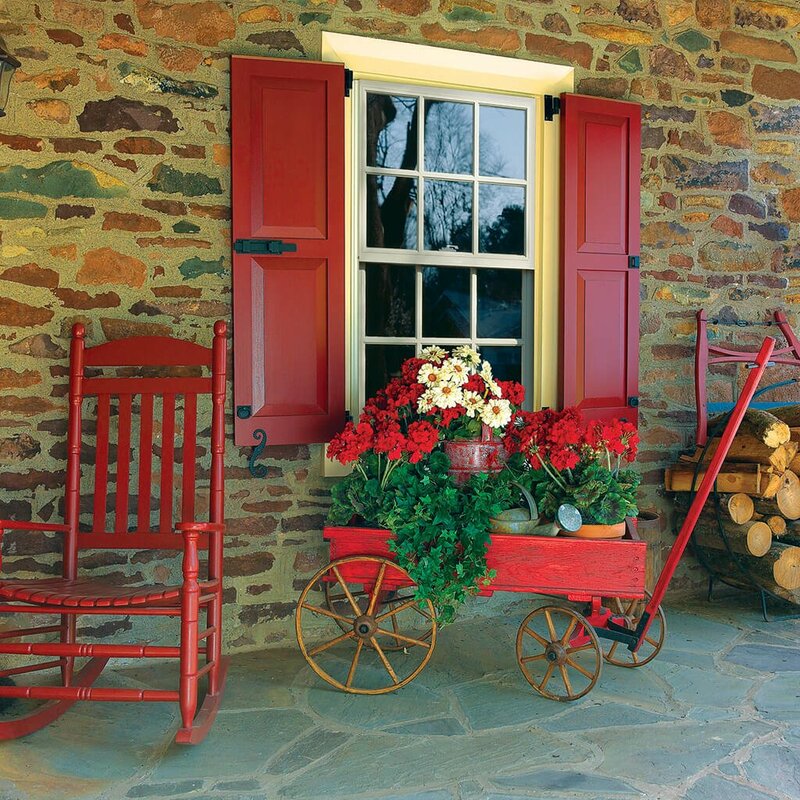 These Really Red shutters match the door perfectly and feature 20/40/40 recessed panels and a complete set of hardware, including unique scallop tiebacks. 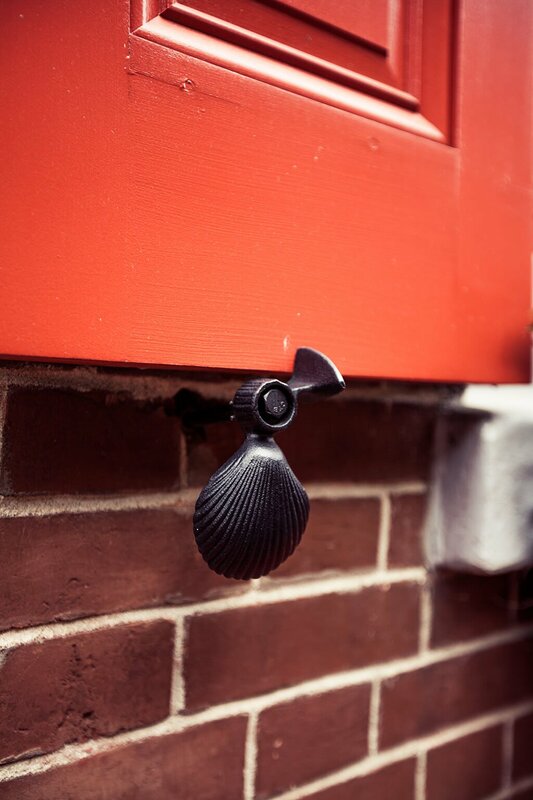 Detail shot of our scallop tieback installed on a Really Red recessed panel shutter. 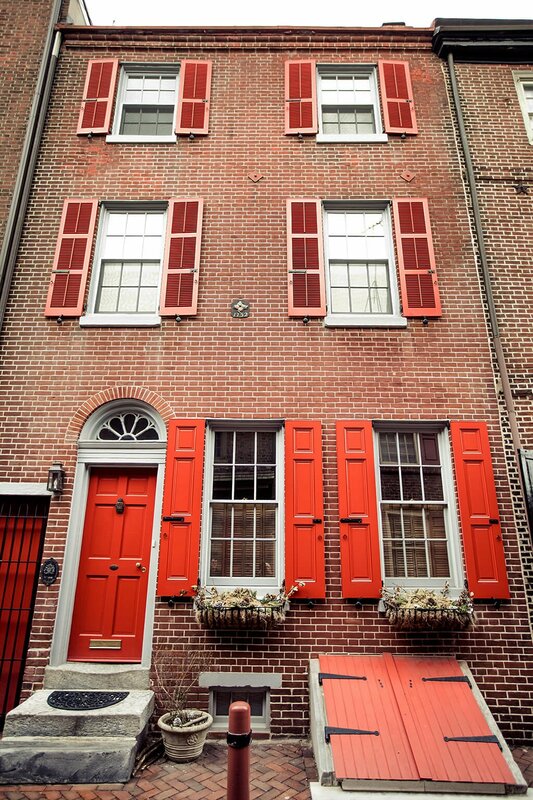 This historic brick townhouse is brightened by Timberlane’s recessed panel shutters in Really Red, strikingly detailed with black hardware. 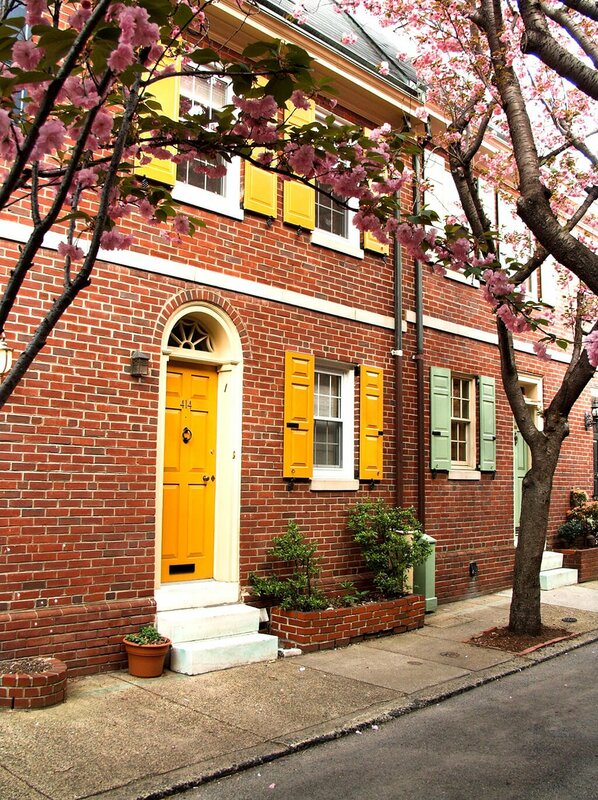 This lovely historic street is lined with shuttered townhouses, and our bright yellow Shaker panels fit right in while adding a splash of warmth to the block. 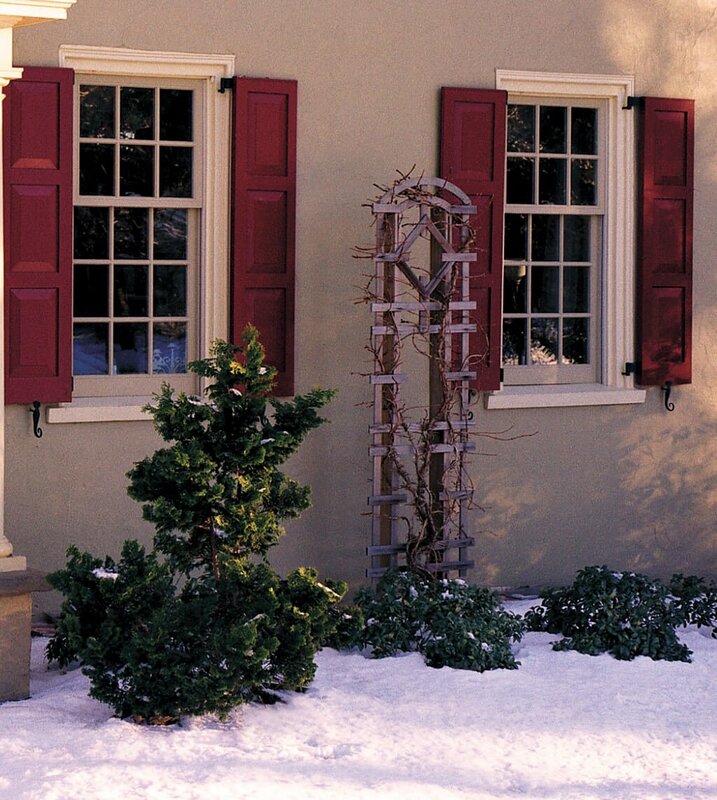 These yellow Shaker panel shutters feature a 20/40/40 configuration, pull rings, slide bolts, and grape tiebacks. 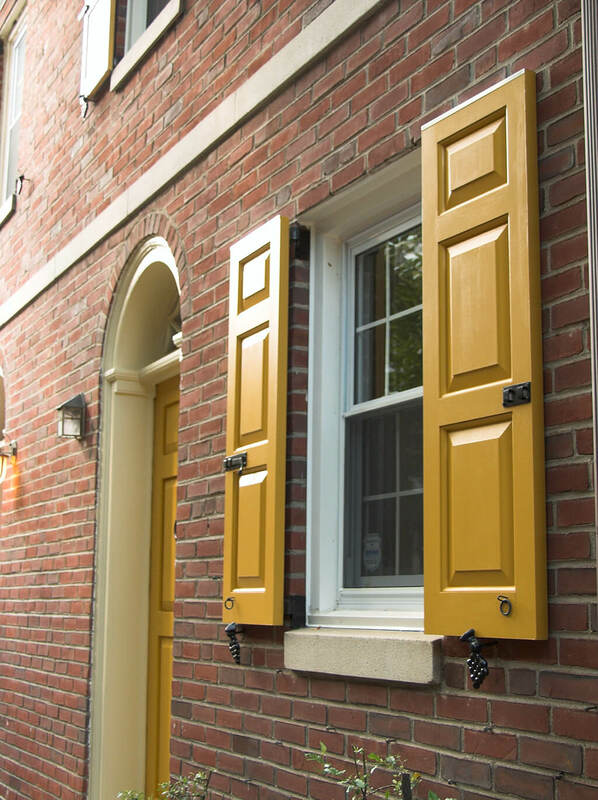 Classic Shaker panels in a 20/40/40 configuration are personalized with the bright yellow hue and grape tiebacks on this historical Philadelphia townhouse. 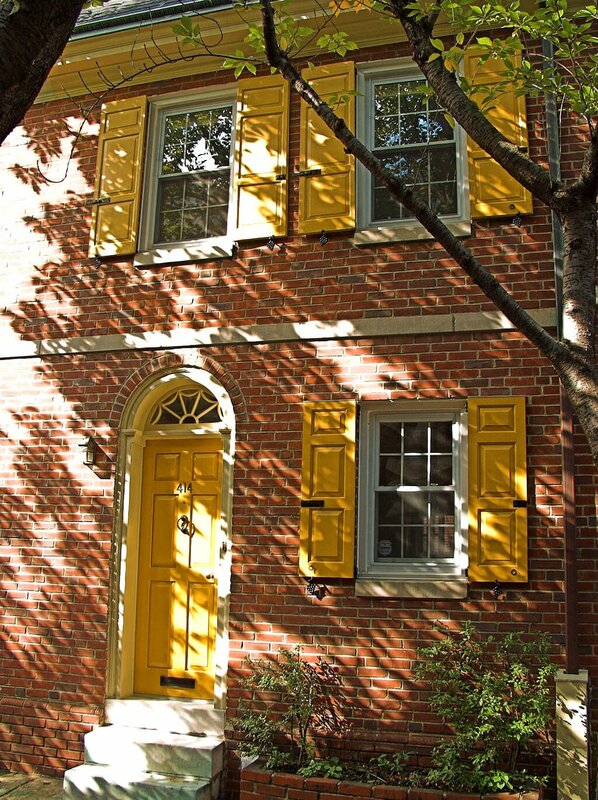 The façade of this Philadelphia townhouse is updated with vibrant yellow shutters, yet maintains an homage to its historic roots with rustic hardware and classic Shaker panels. 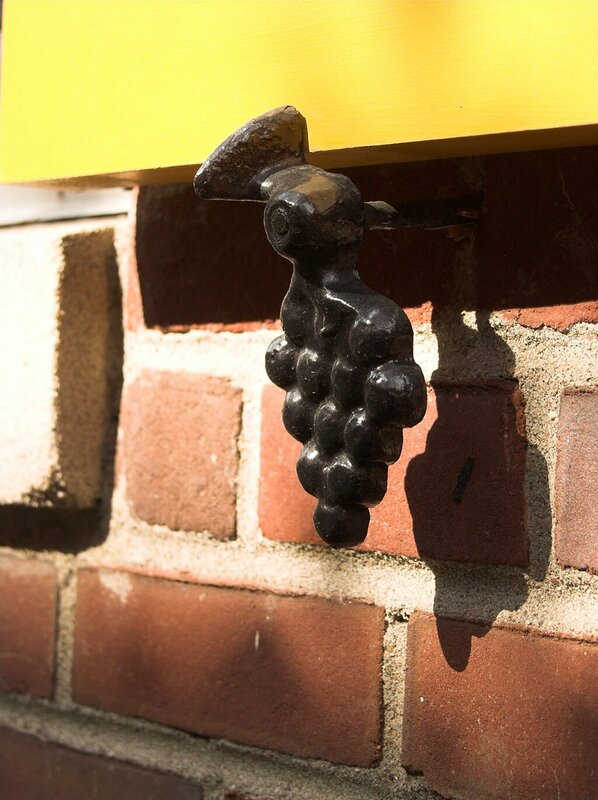 Detail shot of an elegant grape tieback installed on bright yellow shutters. 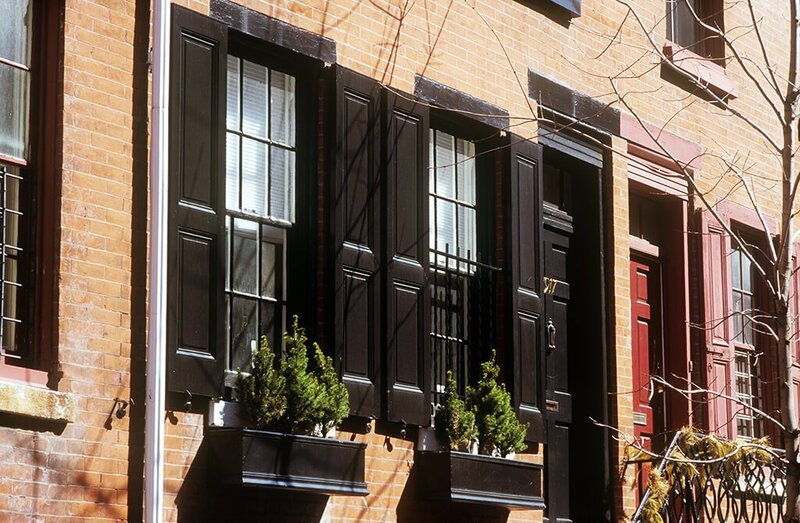 Black shutters look excellent against the darkened brick of this historical townhouse, featuring 33/33/33 recessed panels on the ground floor and 50/50 operable louver shutters on the top two floors. 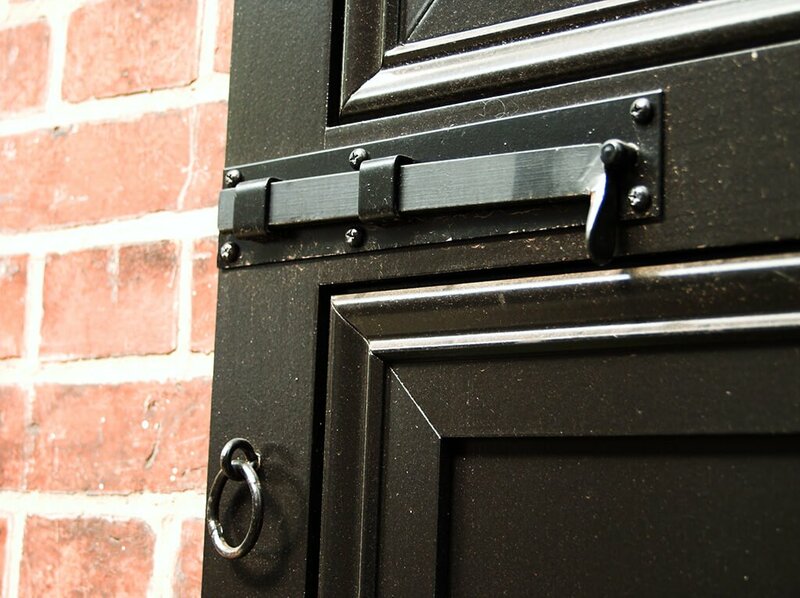 Detail shot of slide bolt and pull ring installed on a flat panel w/ Philadelphia Lattice shutter. 8Next This closeup shows the operable installation of an operable louver shutter with a 50/50 configuration, Belmont tiebacks, pull rings, and a slide bolt. 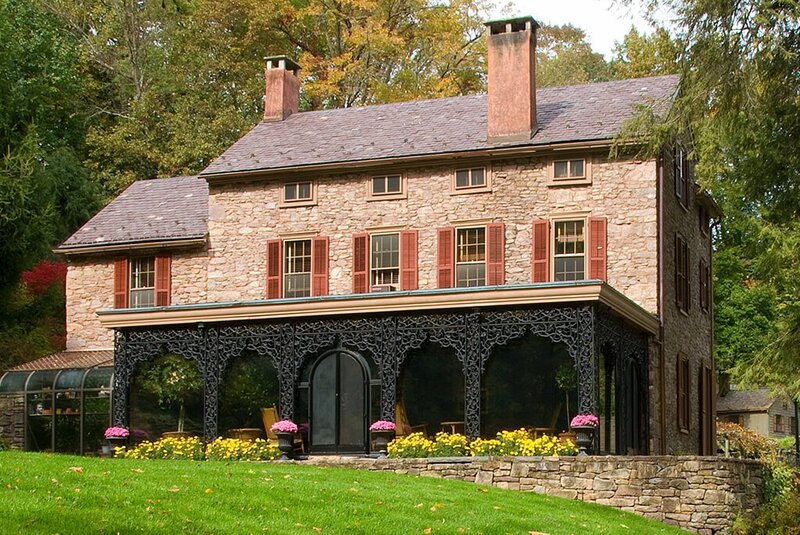 This beautiful stone home is dressed with operable louver shutters in a warm, rustic red. 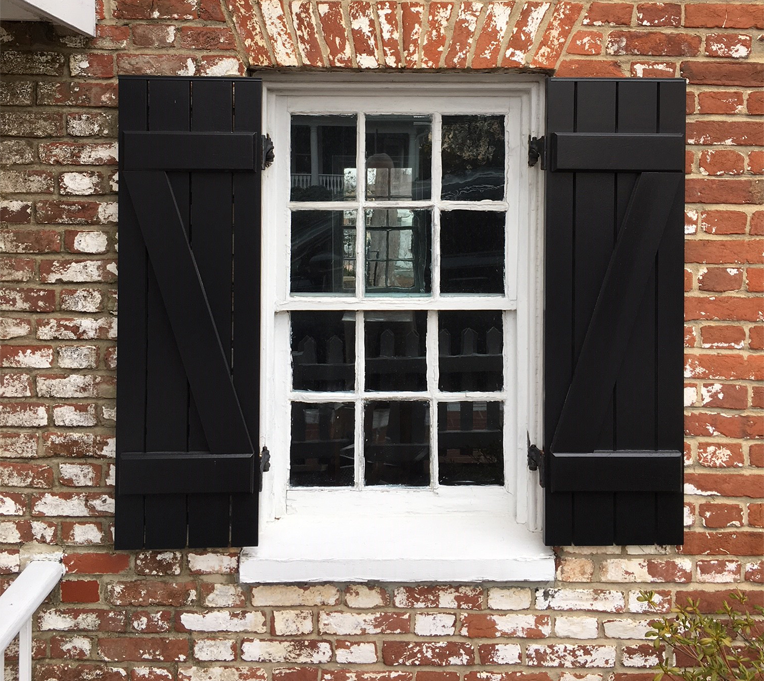 These black board and batten shutters feature a z-brace on ether side, functional hardware, and black shutter capping.